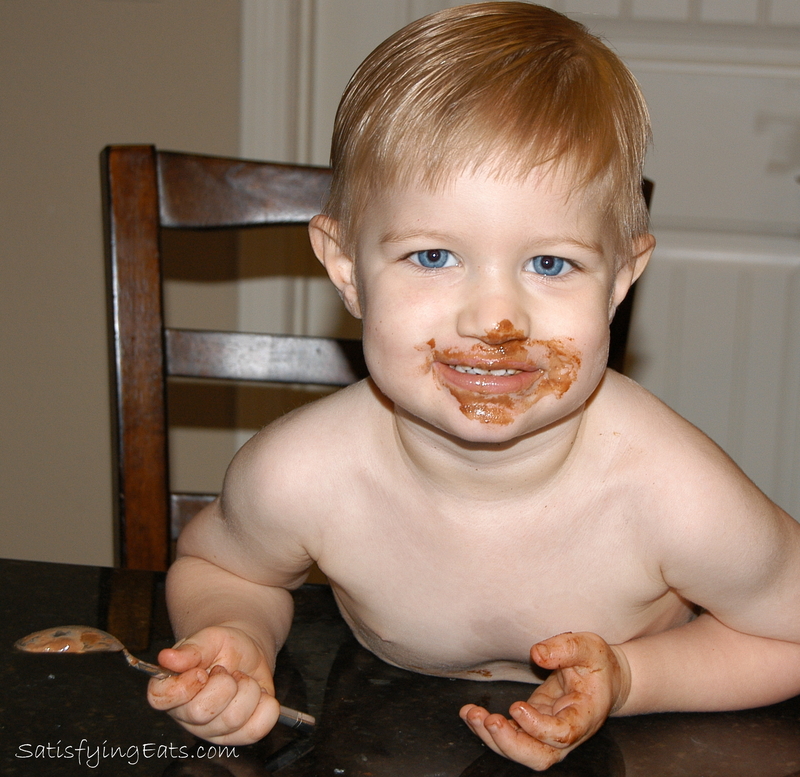 My first experience with Nutella happened about 5 years ago. The container below is the first and last jar I ever purchased. I had heard others talk about how good it was and I had seen the commercial stating it was made with “hazelnuts, skim milk and a touch of cocoa.” Sounds good, right??? Oh, and I had a coupon for $1 off. So, without even looking at the label, I purchased it and brought it home with great anticipation. I stick my spoon in and almost went into a diabetic SHOCK it was so SWEET…WAY to sweet for my taste. Now, this was a time when I was using stevia, but I also used evaporated sugar cane crystals (sugar). How could anyone eat this for breakfast?? I then looked at the label and I was SHOCKED!! LIARS!!!! 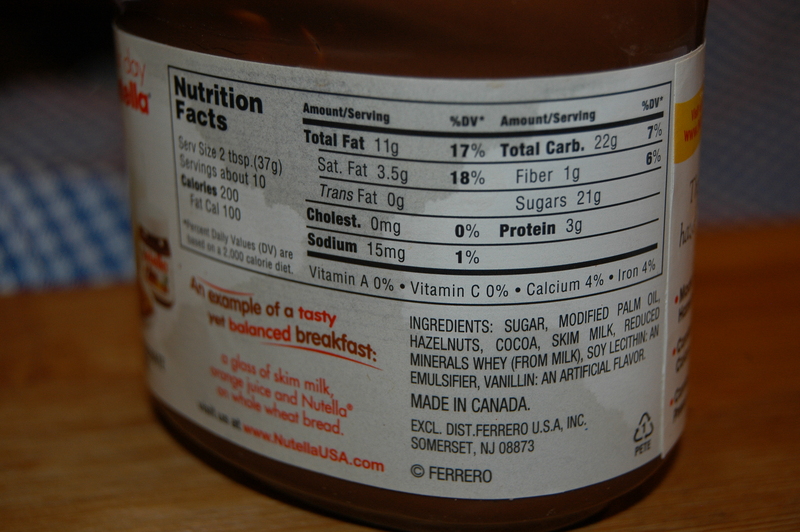 The first 2 ingredients are sugar and oil…. yuk! I then put the jar in the pantry and somehow I have held on to the same jar for 5 years. I guess in the back of my mind I would one day recreate the recipe and today is your lucky day! 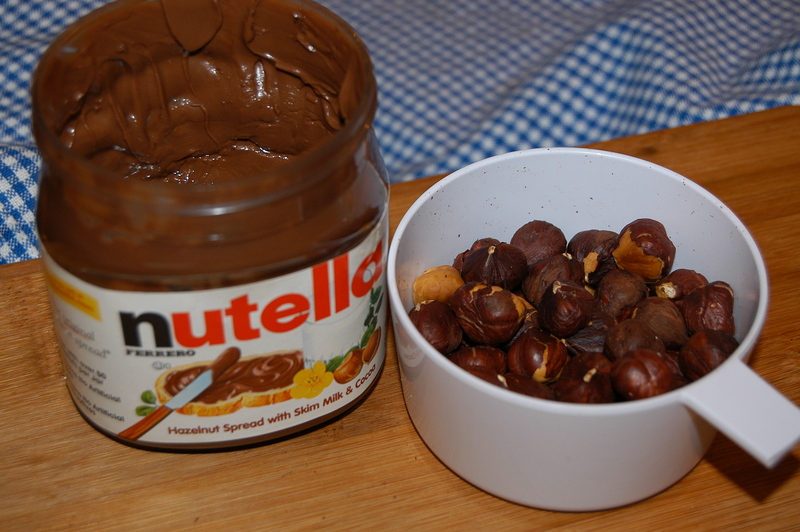 This is 50 hazelnuts or 1/2 cup nuts in the original Nutella… this is a joke! I chuckle that the label advertises contains 50 hazelnuts. 50 hazelnuts is about 1/2 cup. Nothing to brag about. My recipe contains 1 cup! 🙂 If you do the math, almost 80% of the jar is sugar and oil!!! WHAT!?!??! And you think I will give this to my son??? And if I did, for breakfast?!?!?! Sorry, this just makes me MAD!!!! Like my daddy use to say “Trust them as far as you can throw them, and that ain’t that far!” Trust NO ONE, especially food companies! All of the above are wholesome ingredients that I would slather on a piece of my grain-free Tasty Sandwich Buns and give to my son. Probably not for breakfast, but I would feel good about giving this to him just on a spoon! He likes it, he likes! Hunter LIKES it! I think the key to a successful and SMOOTH New-tella is your blending device. I don’t have a Vitamix, and maybe one day I will get one, but for now, my Magic Bullet works GREAT! I like it MUCH more and I stress MUCH MORE than my Ninja Blender. When making my homemade coconut milk, the Ninja doesn’t break down the coconut as well as doing small batches in my Magic Bullet. The more you blend, the smoother your nut butter will become. 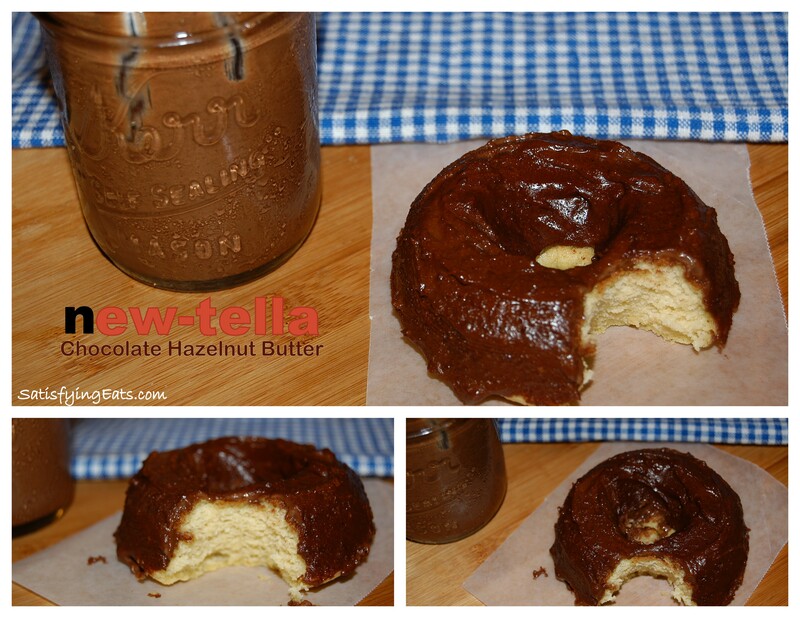 Use the BEST ingredients possible for the best tasting New-tella. I used grass-fed butter but you could also use virgin coconut oil if you don’t mind a bit of a coconut flavor which tastes AWESOME to me! All cocoa powder is not created the same. Dutch cocoa powder is treated with alkali solution to make it more neutral (versus acidic) to remove bitterness and make it more palatable. What they don’t tell you is that by doing this, the process removes many of the health benefits of the cocoa. Cocoa contains antioxidant flavanoids that can actually help lower blood pressure! Eat your chocolate, but make sure it is Dark Chocolate or non-Dutch cocoa powder. Check out this link for more information. Cacao is another alternative that I will be trying very soon. Chocolate as medicine…I LOVE the concept! 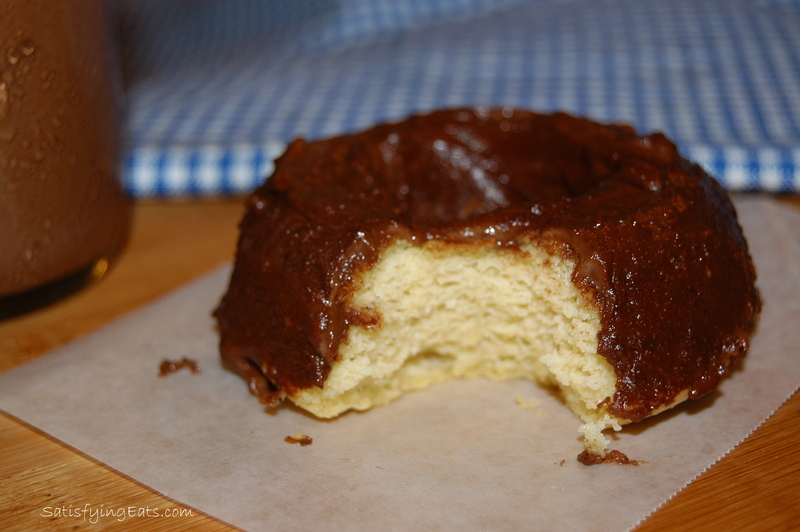 If you want even sweeter New-tella, add 1 more tablespoon of raw honey. Add more dairy if you want a thinner consistency. You could even use a different nut, perhaps almond or even pistachios… yum! Straight out of the jar. Use as a fruit dip. Slather it on a slice of pound cake. Use as the filling between 2 chocolate chip cookies. Swirl it in your ice cream. Toast my Tasty Sandwich Buns and spread it on. Use it as the “sauce” on my Dessert Pizza. Use the crust from my Fourth of July Dessert Pizza to make Milano Cookies. Make a donut using THIS pan and slatter the New-tella on! How will you eat your New-tella???? Preheat oven to 350 degrees F. Spread out hazelnuts in one layer on cookie sheet. Bake for 15 minutes or until nuts are fragrant and skins begin to break. Remove nuts from oven and place on clean towel. Rub hazelnuts with towel to remove most of skin (all of skin will not come off). Place warm nuts in Magic Bullet, Vitamix, blender or food processor. Add remaining ingredients and blend. Scrape down the sides of the bowl after about 2 minutes and continue blending for a total of 4-6 minutes or until your nut butter is smooth. Time will depend on your method of blending. Taste for sweetness and adjust if necessary. Store in airtight jar in fridge for about 1-2 weeks. Be sure to leave a comment on how you prefer to eat your New-tella! Disclaimer: Many of the links contained in this post are Affiliate Links. If you purchase through the links provided, I will receive a small (very small) commission which I used to buy more ingredients to create more recipes. I have chosen these products not to receive a commission but because I think they are the best on the market. Thank you for your support! Sounds wonderful. Do you think that I could use Kal Stevia in place of the honey? Jean, yes. Taste it after you have added the 1/8th tsp and if you need to add more, do it one serving (itty-bitty spoon inside of bottle) at a time. If I use xylitol will it change the consistency? Brianna, I would worry about it being gritty. If you do use it, maybe add a little more dairy to help with the consistancy. Let me know how it turns out. I used xylitol by warming the milk and dissolving the crystals first — worked great! Thank you for this recipe. I have bought Nutella a few times but never felt comfortable with all the sugar it contained and had stopped purchasing it. Now I can make my own thanks to you. I hope you enjoy this healthier version! Do you think this could be frozen? A cup is a LOT for one person and no one else in my house would eat it. Marilyn, if you have a magic bullet, you can make a half batch. That is what I did. I also have a Baby Bullet (it was a gift) and made it in 1/2 batches. It is very possible it will last longer than 1 week in fridge, I am 99% sure it will as long as you use fresh ingredients (the dairy). Hope this helps! If I use hazelnut flour from Bob’s Red Mill, how much would I use. Or to ask it differently, when you grind your nuts how much does it make? 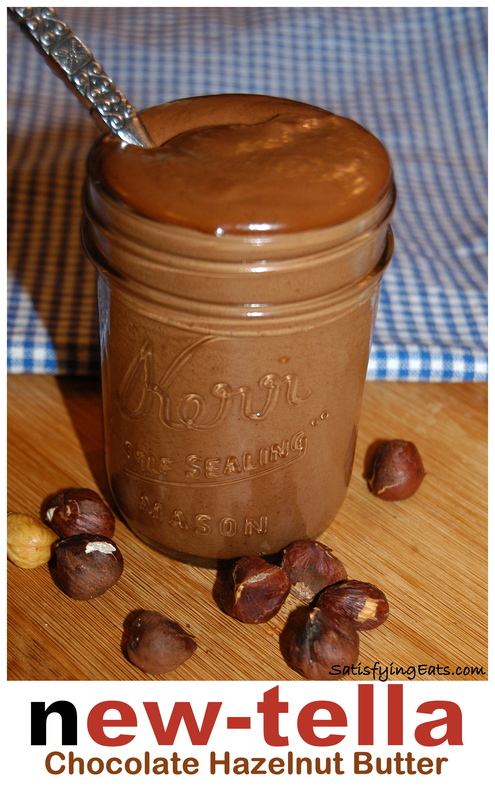 Dee, I have not used hazelnut flour but 1 cup of hazel nuts weighs 4 oz or 1/4 lb. Let me know how it turns out using the flour. I love Nutella on gluten free pretzels. I can’t wait to try this! 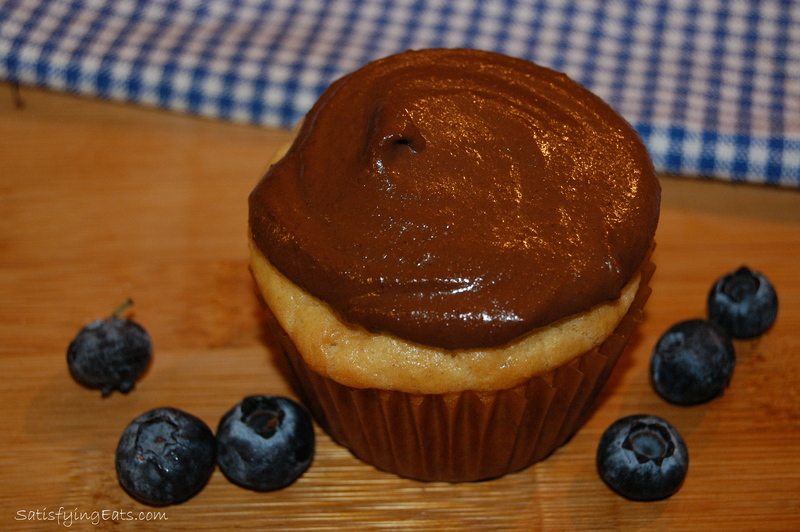 Could I use coconut butter instead of dairy butter? Lexan, I wouldn’t use coconut butter, it would make the New-tell very thick because it absorbs so much moisture. You could use coconut oil though. Let me know how it turns out! Regarding getting a Vitamix — I finally got one a few years ago at Bed, Bath and Beyond and used the 20% coupon. It was a good way to go! Thanks for the wonderful recipes! Jus made a double batch, and I must say….I’m not sure it will last hubby and I a week 🙂 It is AWESOME!! What is an 1/8 of a teaspoon of Kal Stevie equal to? Lena, if you don’t have Kal Brand Stevia, you can use whatever sweetener you loke, to taste. I would hesitate using a grandular sweetner unless you blend it first into a fine powder. It will also depend on how sweet you would like the recipe. Hope this helps! Just wanted a starting point. I tried the link but it didn’t say if an 1/8 teaspoon serving was equal to 2 teaspoons or more/less. Good to know about the granular! I also have a liquid sugar free substitute where one drop is equal to 2 teaspoons. Lena, there really isn’t a set rule for stevia, specifically Kal Stevia. I have found that peoples pallets are SO different when it comes to sugar and stevia that even if there was a conversion factor, it wouldn’t work for everyone. Start with 1 drop and go from there. It will probably take 2 or more but you can always add to but not take away! Hope this helps. Had crepes with Nutella and strawberries once, absolutely delish!!! I made a double batch so I would have some when my girls started school this week to send as a treat with strawberries their first week school. Well, I will need to make more because I brought it to the pool on Friday and the children at the pool swarmed the table like locusts!!! Needless to say it was well received!!! Thank you for a wonderful and healthy recipe that I am happy to feed my children. 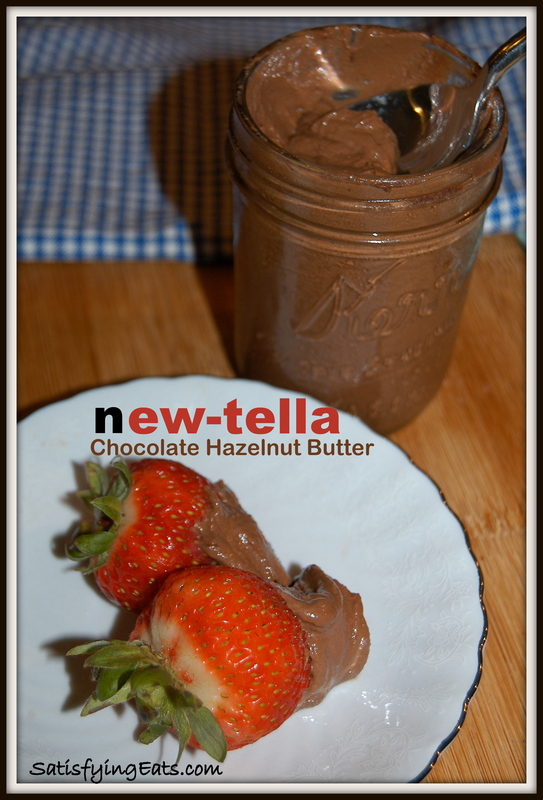 My girls loved Nutella and I have been trying to find a healthy alternative for over a year and none of the others I tried have even come close!!!! Yours is absolutely delicious!!!! I knew it would be! Michelle, I am so glad you and the kids enjoyed the recipe!! This a fantastic recipe. I used a combination of Swerve, XyloSweet and Kal Stevia. Next time, I’ll go lighter on the sweetener, bump up the cocoa and use a little less almond milk. I’m eating things a little less sweet these days since giving up sugar, and I want it a little thicker. It’s a little airy. But I eat this right out of the jar, just love it. Maybe I’ll use it on your Southern Velvet cake the next time I make it. Looks delicious Sandra! I’ll have to try it. If you beat me to it, let me know how it turns out! I will win “mom of the year award” with this and fresh apples!!!! My kids love that stuff (I have never bought, but had it at school when a mom brought “healthy” treats for birthday celebrations. Just made this and it is soooo delicious. I didn’t have any stevia, but used 3 Tbsp of honey and it was sweet enough for me. If I wanted to use it as an icing I would probably buy some stevia. Thanks! I might just have to have chocolate dipped strawberries for breakfast tomorrow! Kids loved it too. Just made a “NewTella” frappucino for myself. Yum! My kids dipped some sliced green apples in their New Tella for lunch. Do you remember that old Partridge Family Song ‘I Think I Love You!” Yea – that!! Thank you! This is amazing!! Will definitely tey this. Although hazelnutsand about every other good wholesome healthy ingredient is ridiculously expensive in South Africa…I think this will be MOST worth it! Once again you have amazed me with another delicious recipe. Before I started eating the Wheat Belly way I was addicted to that spread with all the sugar in it. I’ve been wanting to try this and finally made it this evening. I put it on top of grain free waffles and it is absolutely delicious! I made a double batch because I had plenty of hazelnuts and I figured why not? I’m going to freeze part of it to see how that works. Thank you!